This was a good start to a new series by one of my favorite authors. We get to meet the people of Sullivan's Crossing. This I am sure is going to be the beginning of some new friendships. I fell in love with Sully from the beginning. Now I have to say I was wondering about Cal when he first came on the scene but once we got to know him he was very lovable. I felt very bad for Maggie. She is such a kind person and just had so much go bad all at once. There were a few parts of this book that had me choked up, but the rest of the book was very good and touching. I am looking forward to reading the second book in this series very soon. 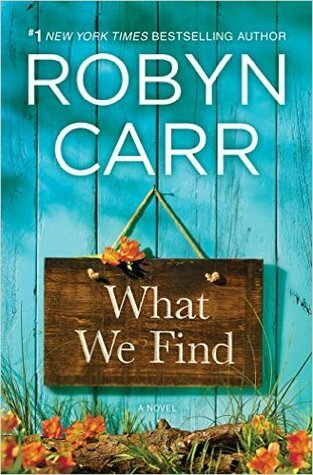 Robyn Carr is a RITA® Award-winning, #1 New York Times bestselling author of almost fifty novels, including the critically acclaimed Virgin River series. Her highly anticipated new series, Thunder Point, was released March 2013. Robyn and her husband live in Las Vegas, Nevada. You can visit Robyn Carr's website at www.RobynCarr.com.